Started with the intent of improving the standard of Commercial Drone Courses in the UK and to work with the CAA to ensure our skies remain safe. UAV8 Ltd has an aviation training provenance that is second to none. All instructional staff are former Army Helicopter Instructors (QHI) and pilots. They have over 200 collective years flying training experience and are graduates and former members of the elite UK Army Apache Attack Helicopter Force and the RAF Central Flying School. 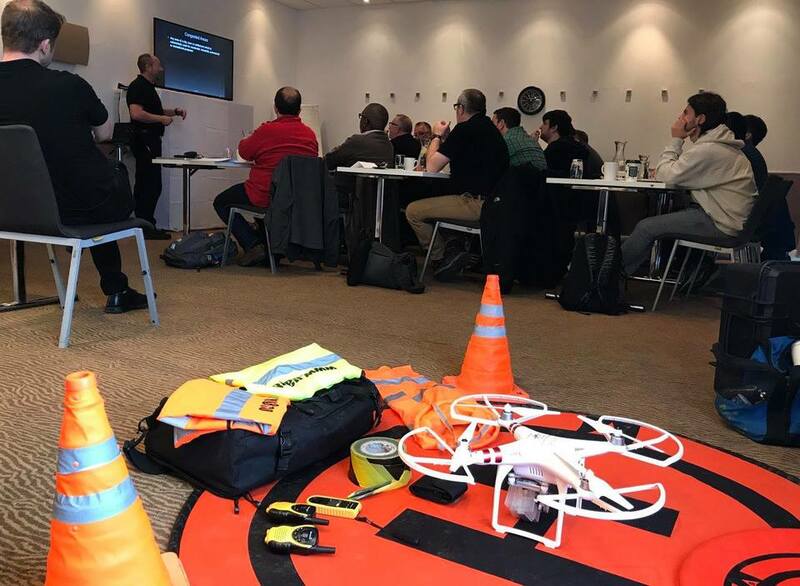 Ground instructors have over three years of experience in delivering training for Commercial Drone Pilots - the company first gained its National Qualified Entity (NQE) status from the CAA in 2015. All staff have current DBS security clearances and can therefore be trusted completely. Our staff have many awards including the coveted MASTER PILOT award from GAPAN and many other prestigious awards. The company strives to be the best they can and always put the client first. We are committed to our clients and support them before, during and after training. FAIREST PRICED training in the UK - Guaranteed Pass - No Gimmicks - No Hidden Costs. Train with the True Professionals. All staff DBS security checked - in date. Set up with the sole aim of delivering first class aviation instruction and Drone Pilot Training for the commercial sector. Committed to keeping the skies over the UK safe and working closely with the UK CAA. Instructors are highly qualified professional pilots of manned and unmanned aircraft and hold commercial flying licences. With unquestionable provenance they bring enviable levels of professional instructional ability and experience - literally bringing the training to life! This ensures that only the finest Drone Pilot instruction is delivered and that UAV8 Ltd remains at the very top of the game. Drone Pilot Training in Ipswich Suffolk. Bespoke training can be delivered anywhere in the UK including clients premises. There are many training providers in the UK but none match UAV8s incredible provenance and instructional experience. We are committed to providing first class professional training, ensuring clients are trained to the highest, and above all, safest standards within the commercial environment.